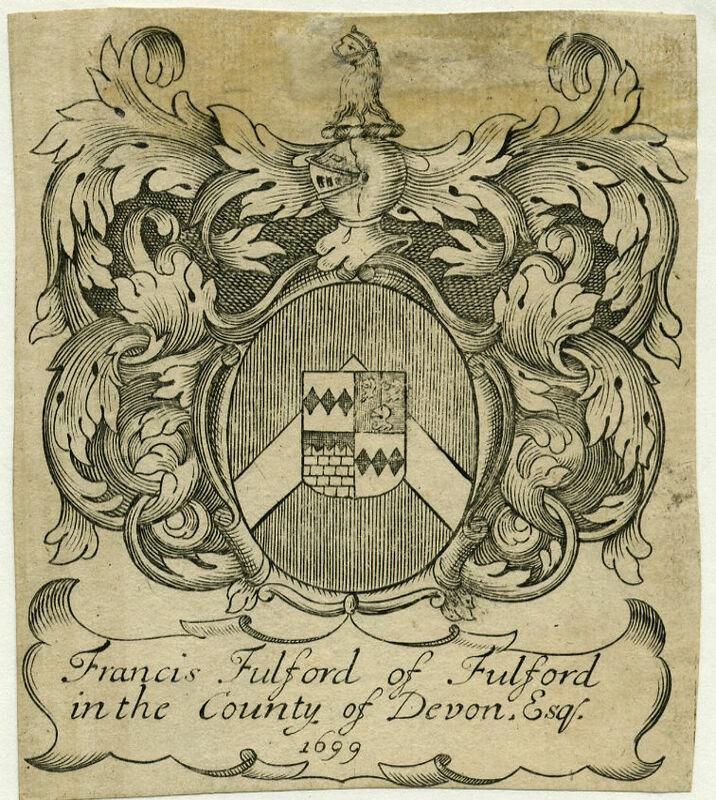 On sale at eBay is a bookplate of Francis Fulford of Fulford in Devon (Vendor: london3621). Colonel Francis Fulford’s second wife was Mary Tuckfield, heiress to John Tuckfield of Little Fulford. The marriage effectively joined the two estates for Great Fulford and Little Fulford. However, Francis Fulford died without issue and his widow re-married but left the Little Fulford estate to a cousin. The Great Fulford estate passed to the Colonel’s cousin, (another) Francis Fulford.